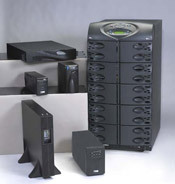 Our broad range of power supplies suit almost any industrial application with a standard product. The product line includes one of the broadest ranges of DIN Rail and linear-based power supplies in the marketplace. 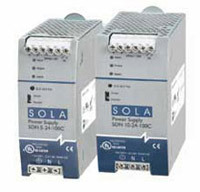 Sola/Hevi-Duty's ferroresonant power conditioners protect equipment from all power problems other than a complete loss of power. They excel at tightly regulating voltage within ±1.0% for input variations up to +10%/-20%, provide superior noise attenuation and are designed to withstand the harshest electrical environments. Sola/Hevi-Duty surge-protective devices focus on limiting high-voltage spikes to a level that is acceptable to most electronic equipment. Plus, they’re a great first line of defense, using components that are placed in parallel with the line and serve as clamping mechanisms for high-energy impulses. 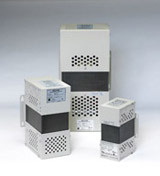 Sola/Hevi-Duty offers a broad range of transformers to meet many applications. 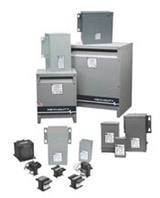 These dry-type transformers are offered encapsulated, ventilated or non-ventilated, 600 Volt Class, isolation type, single and three phase, through 500 kVA. Indoor and outdoor models are available. Sola/Hevi-Duty offers DC, off-line, line-interactive and on-line UPS topologies along with software for seamless communications, monitoring and control.